So, I started recording one song per set at every show I went to this year (provided that I was in the mood to hold up a recording device) and put the recordings up on the youtubes on a channel called GIMMETINNITUSTUBE. 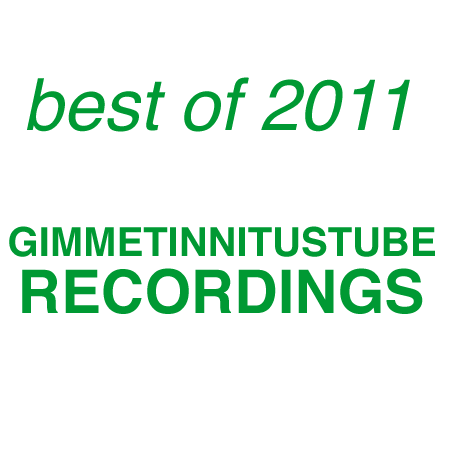 And now here’s more best of 2011 coverage with our favorite 9 GIMMETINNITUSTUBE recordings. You can stream (and scrobble) all the songs in this post using the ex.fm player at the bottom of the page OR you can just download any or all of the tracks at your leisure and play them using a digital media player of your choice.